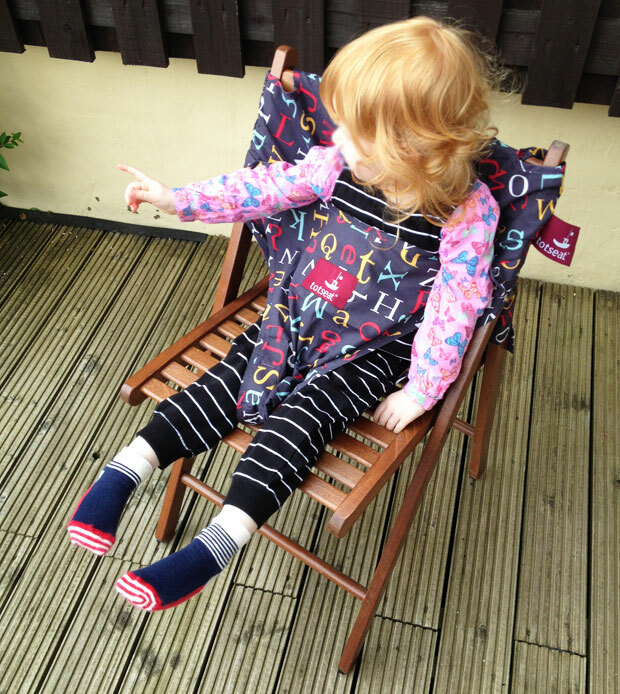 The Totseat is the original travel high chair and it really is portable. It’s made high quality fabric and the whole thing packs away neatly into a storage pouch ready to be taken out on adventures. The Totseat is a versatile chair harness that holds your baby or toddler safely and comfortably in almost any dining chair. It’s suitable from 6 months up to 30 months when your toddler can sit on his or her own on a normal chair. It can be adjusted quickly to fit your child and chairs of all shapes and sizes. It’s easy to take with you as it’s so lightweight and compact. It can be machine washed too which is great! It’s perfect for travelling, dining out or visiting friends and family. It even comes with a special band that you can use on chairs that don’t have much of a backrest to create support for your child. You put that on first if needed then slot the Totseat over the backrest and tighten the drawstring to hold it in place. Then you can adjust the seat area depending on the size of your child and type of chair. You put the child on the seat and steady him or her while you pull the front of the Totseat up. You pull the sides around the back and close the clip. Adjust as needed. It’s really simple and quick! You can see a full visual instruction in this video below. The fabric feels really strong and good quality and the product is so clever. 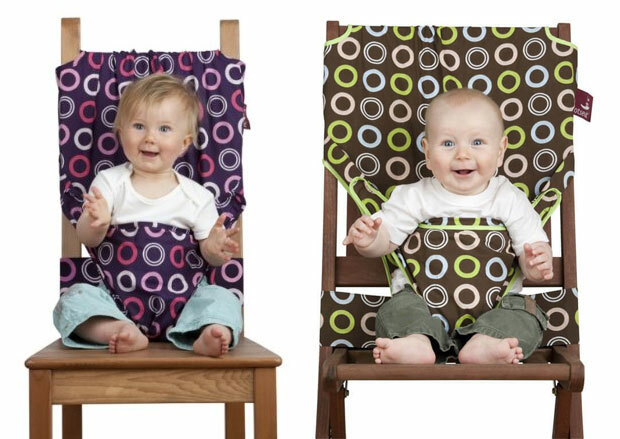 A piece of fabric becomes a highchair in a few seconds and you can take it with you anywhere and use it on any chairs. 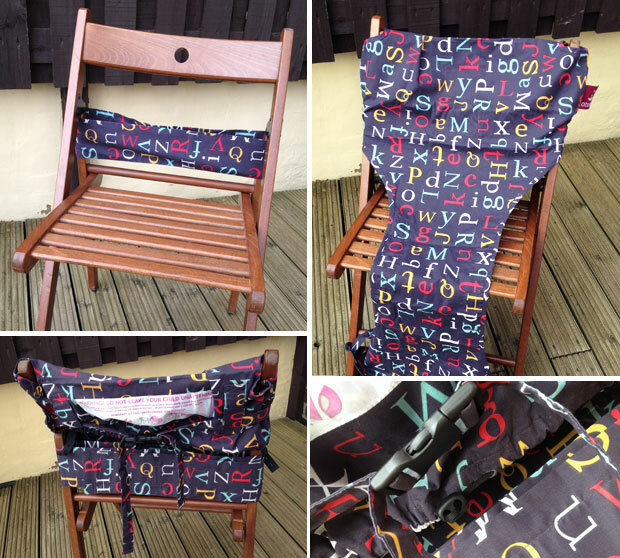 We really love this alphabet design but there are lots of different prints and colours to choose from. My toddler is almost 30 months old now and can sit on regular chairs but for some chairs I would still like to use this to hold her so she doesn’t fall off. My second baby is nearly two months old now and before we know it, she’ll be sitting up and eating food! This will be so handy then and I’m sure it will be a changing bag staple for us to ensure we always have a safe and comfortable seat for her, wherever we go. 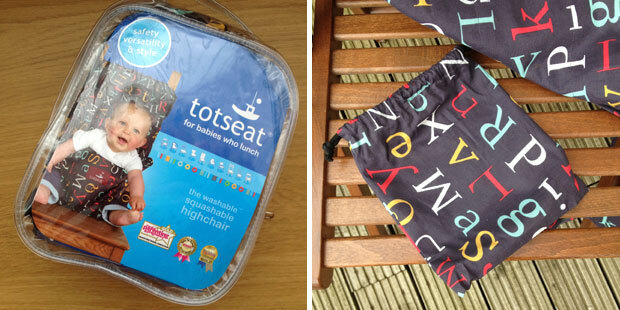 Buy the Totseat from Totseat.com or Amazon.co.uk.